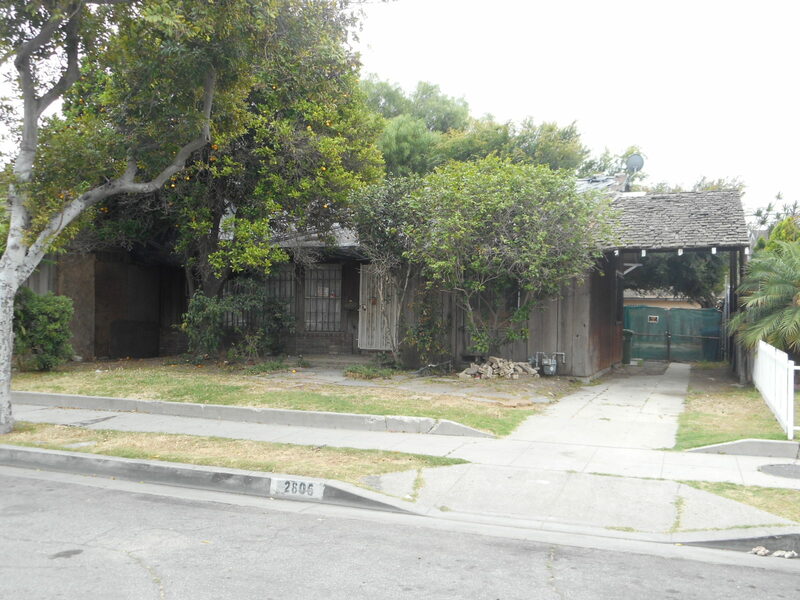 DESCRIPTION: GREAT FIXER OPPORTUNITY IN THE CENTRALLY LOCATED AREA OF HUNTINGTON PARK/WALNUT PARK (UNINCORPORATED AREA OF L.A. COUNTY). THE 2 BEDROOM, 1 BATH HOME INCLUDES A LIVING ROOM WITH FIREPLACE, DINING AREA & OPEN KITCHEN WITH BREAKFAST AREA. DEN. HARDWOOD FLOORS. ATTACHED GARAGE WITH STORAGE AREA (STORAGE AREA MAY NOT BE PERMITTED). ROOF DAMAGE. DETACHED GUEST STUDIO WITH BATHROOM (MAY NOT BE PERMITTED). WIDE LOT. POSSIBLE DEVELOPMENT SITE. BUYERS SHOULD CHECK WITH L.A. COUNTY FOR CURRENT ZONING & BUILDING REQUIREMENTS. GREAT FIXER OPPORTUNITY. CLOSE TO SCHOOLS & DOWNTOWN L.A. NO COURT CONFIRMATION.